the middle of the property. By following one of the feeder creeks upstream, and only about 200 meters from the property line, there is a beautiful Costa Rica waterfall. 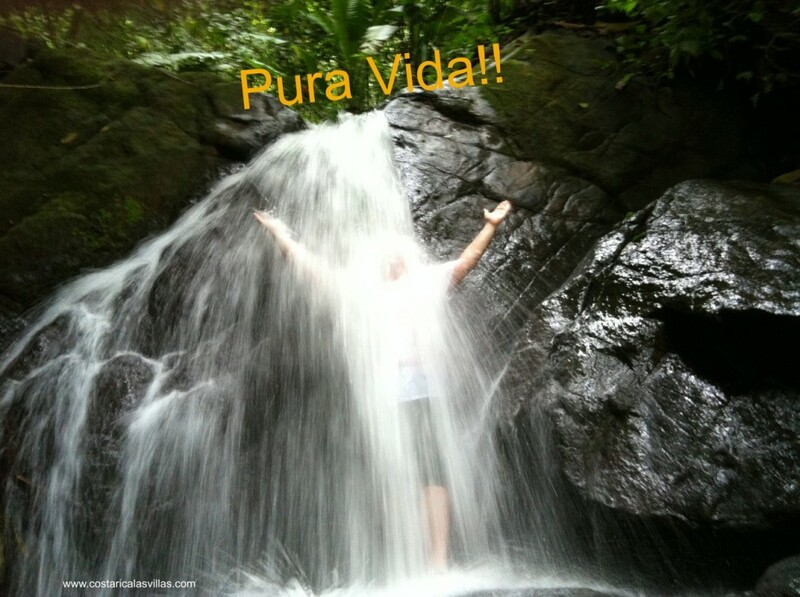 The waterfall is the ideal place to relax and enjoy the Costa Rican jungles. The only sound you will hear is the waterfall as it cascades down. 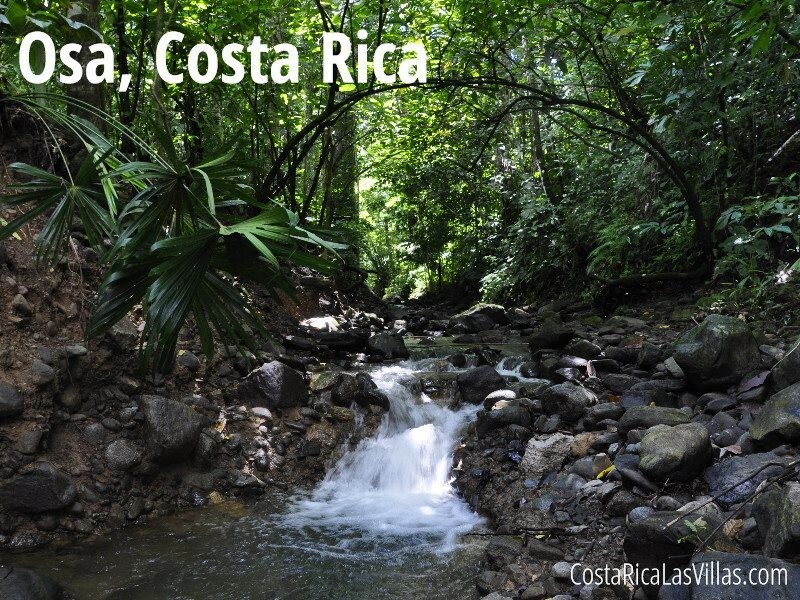 There are several natural pools that provide great areas to relax and enjoy the wonderful Costa Rican jungle. You can even hike up and stand under the tallest waterfall and let the flowing water provide you a great natural neck and back massage as it flows down the rocks. When visiting for the first time please ask us to line up a guide for you. While walking to the waterfall you will see the amazing pavel trees (over 150 feet tall) that are native to Costa Rica and one of the many protected trees found in Las Villas de San Buenas. These refreshing Costa Rica waterfalls will give any visitor that they are in the middle of Costa Rica jungle and hours away from anyone. Given the age and height of many of the nearby trees, the walk to the waterfall is almost entirely under the jungle’s canopy. The cool air, the cool water and the beautiful sounds provide a nearby sanctuary of relaxation. Come create your own postcard-quality photo in the stream headed to the waterfall here in Las Villas de San Buenas.